“Caught Napping,” engraving of a now-lost painting by British artist Alexander Hohenlohe Burr (1835–1899). Originally published in The Illustrated London News (February 14, 1866) and reprinted in Harper’s Weekly (March 10, 1866). Last year Zachary Turpin, a graduate student at the University of Houston, discovered a previously overlooked newspaper series of fitness essays, Manly Health and Training, written in 1858 by none other than Walt Whitman. And now (to steal the Walt Whitman Quarter Review’s exclamatory phrase), he “has done it again.” Turpin has unearthed a previously unknown novel by Whitman: Life and Adventures of Jack Engle. The novel appeared anonymously in six consecutive issues of the New York Sunday Dispatch in 1852—four years after most biographers thought Whitman had given up writing fiction and only three years before the publication of the first edition of Leaves of Grass. Yet Jack Engle was quickly and quietly forgotten, partly because of the poet’s reluctance to give any of his fiction a second life and partly because of the newspaper in which this particular work appeared. Each week’s issue of the Dispatch was jammed full of reading material—tales, serialized novels, travel essays, memoirs, sketches, and more—and few of its pieces ever had the chance to stand out. More than a century and a half later, however, Whitman’s novel is finally available in book form: in paperback, as an e-book, and even free (as a PDF). Jack Engle is also beautifully lyrical, occasionally hilarious, and peopled throughout with charmingly eccentric characters. It is some of the better fiction Whitman produced. Readers familiar with David Copperfield or Bleak House will recognize much that is Dickensian in it; indeed, Jack Engle was likely directly influenced by Dickens’ novels.
. . . every thing on the most august scale—a leaf of grass, with its equal voice . . . Novel?—Work of some sort / Play?—instead of sporadic characters—introduce them in large masses, on a far grander scale . . . A spiritual novel? Once he became celebrated for his poetry, however, Whitman did what he could to suppress his early fiction. “My serious wish were to have all those crude and boyish pieces quietly dropp’d in oblivion,” he wrote in a preface to the 1882 collection Specimen Days and Collect, for which he reluctantly agreed to include, in a section titled “Pieces in Early Youth,” a handful of the better-known stories. In celebration of the discovery of what is (perhaps!) 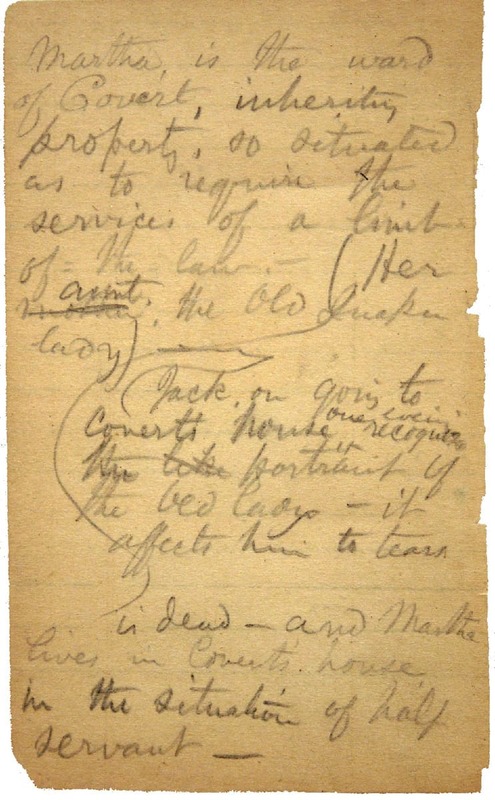 the last work of fiction published by Walt Whitman, we present the first, “Death in the School-Room.” Written in 1841, when Whitman was a young man of twenty-two, this sensationalistic tale was reprinted far more often than any of his other stories, appearing in nearly 150 newspapers and other periodicals during the next quarter century. 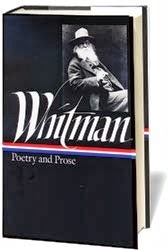 For several years previous to writing the story, Whitman had been teaching in a one-room school in Woodbury, Long Island, where he practiced the new casual and informal teaching methods of the type advocated by Horace Mann. Although the experience seems to have worn him down (“O damnation, damnation! 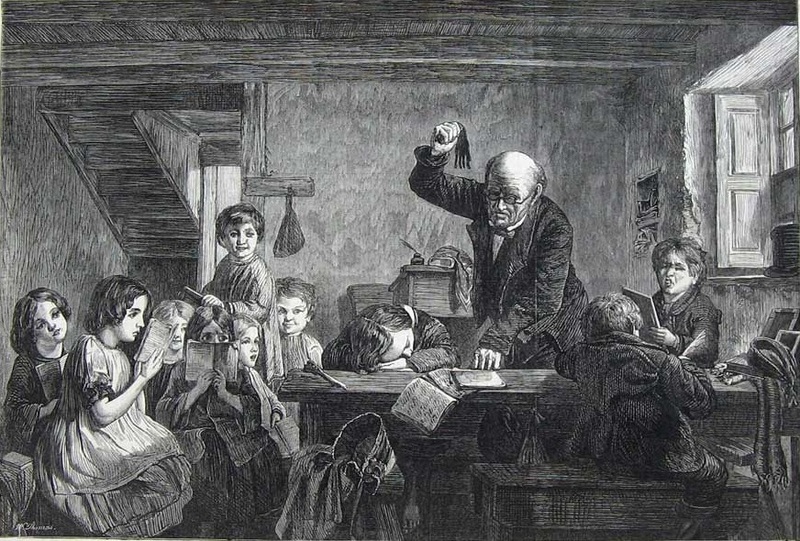 thy other name is schoolteaching and thy residence Woodbury”), over the course of the 1840s he published numerous editorials denouncing “the teacher . . . who has no other means of making his pupils obey him, than blows [and] who thrashes boys for the most trivial oversight”—an argument this didactic story presents in fictional form. Ting-a-ling-ling-ling! went the little bell on the teacher’s desk of a village-school one morning, when the studies of the earlier part of the day were about half completed. . . . If you don't see the full selection below, click here (PDF) or click here (Google Docs) to read it—free!